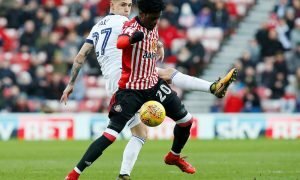 Sunderland plot to offload striker in January | The Transfer Tavern | Where football transfer rumours fly or die! 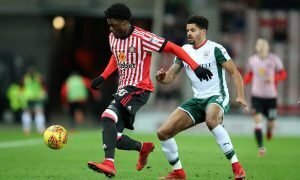 Sunderland fans around the Tavern have stopped drinking their pints after the interesting news that a first-team striker will be offloaded in January. The Daily Mail reports that Jermain Lens was dropped from Saturday’s match-day squad at Chelsea due to a ‘disciplinary’ matter, whilst The Daily Mirror states the striker will be offloaded in the new year. Lens only arrived from Dynamo Kiev five months ago in a £13 million move, yet his future with the club looks set to be over soon. The Dutchman spent the majority of last week training with Sunderland’s under-21 squad. Black Cats boss Sam Allardyce has since confirmed that Lens’ demotion was the result of a ‘disciplinary decision‘, although he refused to reveal any actual details surrounding the 28-year old’s actions. However, reports claim that Lens refused to take part in a running exercise with fellow substitutes after the 1-0 defeat to Watford at the Stadium of Light last weekend. Sunderland fans may be irritated to hear that reports suggest Lens’ attitude on the training ground has been a major factor in the situation. Lens has only started one Premier League game since Allardyce was appointed at the helm back in October. Due to his suspension for Allardyce’s opening tie at West Brom, Lens made his first appearance in the 3-0 win over Newcastle United, though he failed to finish the match, being replaced by Seb Larsson. Since then has only made three brief substitute appearances, with Allardyce questioning both his work rate and his willingness to adhere to team instructions. It is now believed that Sunderland are willing to listen to offers for Lens in next month’s transfer window. While Allardyce wishes to raise funds for his own spending, the club’s owner Ellis Short’s will probably be reluctant to suffer any kind of substantial loss on a player who cost a relatively high amount. 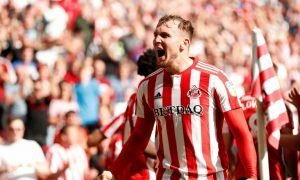 Sunderland fans, would you offload Lens in January? Let us know in the comments!